This week, China’s continued freeze on game approvals massively benefits Steam, EA and Activision experience tremendous growth thanks to their “games-as-a-service” business model, and Microsoft reports record growth. In a talk at Melbourne Games Week, a spokesperson from Valve revealed that, in just one year, Steam gained 27 million users, bringing their total user base to over 90 million. Market intelligence firm Niko Partners attributes this to a massive uptick in Chinese users due to their government’s freeze on new game approvals, instituted in March of 2018. This has forced Chinese gamers to use Steam for the latest releases instead of platforms like Tencent’s WeGame. 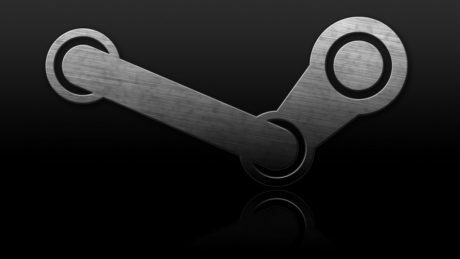 VentureBeat highlighted an observation from Niko Partners, noting that Steam is technically operating illegally in China as it hasn’t gone through the country’s official licensing process, effectively making it a “gray market.” Valve did announce in June however, that they are working with local publisher Perfect World to officially launch Steam China in the near future. According to sources close to GamesIndustry.biz, Tencent’s value plummeting by a staggering $190 billion is likely of little concern to the Chinese government, as they instead prioritize their public health agenda, which is meant to curb increasing rates of addiction, myopia and “other ills” supposedly related to gaming. According to Bloomberg, the temporary stopgap approval process for new games instituted in August, known as the “green channel,” was also frozen, further exacerbating Tencent’s monetary struggles and ensuring Steam’s continued popularity in the region. GameDaily.biz reported on findings from analyst group DFC Intelligence, in which Activision and Electronic Arts were reported to have grown by a combined $79 billion thanks to their switch to the games-as-a-service model for marquee franchises like Madden, Call of Duty, Destiny, Battlefield, and more. While many might prefer traditional, stand-alone, “pay to play” games like God of War and Marvel’s Spider-Man, TechSpot observed that games relying on DLC and microtransactions like loot boxes are likely here to stay for the foreseeable future thanks to their massive success. In fact, EA is launching only seven games next year, all of which are expected to use said model. GameDaily.biz explained the rationale behind the business model’s success, stating that “[publishers] are able to release fewer products while generating far more revenue.” Thus, the games-as-a-service business model is not only insanely profitable, but sustainable as well. IGN noted that Activision’s value grew from $10 billion in 2012 to $60 billion this year, while EA grew from $4 billion to $60 billion in the same timeframe.